A number of people have written in the last few days to ask what happened to the subtitled videos of Col. Allen West’s speech on February 19th at the launch of the Freedom Defense Initiative. As most readers will remember, immediately after the FDI event, Vlad Tepes and I mounted a Rosetta Stone project to subtitle Col. West’s speech in as many languages as possible. Our Rosetta Stone team did the translations, and then Vlad subtitled the videos and uploaded them to Vimeo. Over a two-month period the speech was made available in a total of fifteen languages. The videos remained online until a few days ago, when someone — presumably the organizers of the event or the videographer — complained to Vimeo that their copyright on the Col. West videos had been violated. Vimeo responded by taking down Vlad’s entire channel — eliminating many other useful and important videos along with those of Col. West. We know that Allen West himself had no problem with our project, since he sent us a number of emails thanking us for the subtitled videos and praising our efforts. All of the videos and posts linked lavishly to both FDI and the organizers, and we would have linked the videographer if we could have discovered his or her name. No one sent us any complaints or requests to take down the videos — for two months they were available for viewing, and then suddenly they were gone. This action was unfortunate and destructive. And it’s not just the sad waste of hundreds of man-hours; the translated versions of Col. West’s speech helped his words escape beyond the borders of the United States. They let the world know that Barack Obama and Hillary Clinton do not represent us, that America has capable leaders who understand the global threat presented by Islam. Col. West’s words inspired people in Denmark, Russia, France, and at least twelve other countries. Our work has not been lost entirely, however, because the time-stamped translations are still available — along with the defunct videos — at the original posts. For example, you can read the Dutch and Italian here, or the Hebrew and German here. Our Rosetta Stone projects, both text and video, will continue. The next time we commit all those hours to a video operation, we’ll make sure to get advance permission from anyone who might claim copyright. One of the Rosetta Stone text projects is still ongoing: Geert Wilders’ speech at the House of Lords in London on March 5th. There are three languages remaining, and they will be posted sometime in the next few days. We’re fortunate that Mr. Wilders doesn’t object to our publishing his translated words. Now I’d like to celebrate the Rosetta Stone team. Over the last two years it has grown to include roughly sixty translators and two video wizards. Vlad and Kitman handle the editing, subtitling, uploading, and maintenance of the video channels. Together they run Counterjihad Films — which unfortunately has been decimated by the loss of Vimeo. It is truly an honor to co-ordinate the work of so many dedicated and selfless people who volunteer to work long hours in the cause of liberty. My heartfelt thanks to the entire team. The financial crisis in Europe continues to intensify. Greek bonds have been downgraded to junk status, and the government says that if it does not get aid, it might go down the tubes. Portugal is also headed into trouble: its bonds have been downgraded, and both credit default swaps and yields on bonds have reached levels not seen since the 1990s. Spain’s real estate market has picked up, but Prime Minister Zapatero warns that his country’s unemployment level remains alarmingly high. In other news, Palestinian Authority president Mahmoud Abbas says that NATO troops could be deployed to guarantee a peace settlement with Israel. Thanks to Barry Rubin, C. Cantoni, Gaia, Insubria, JD, TB, TV, Vlad Tepes, and all the other tipsters who sent these in. 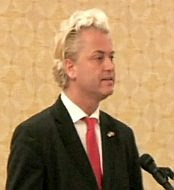 Geert Wilders launched his party’s campaign for the June 9 elections with a speech in Rotterdam last night. Our Flemish correspondent VH has translated an article about the event as well the speech itself, along with some additional relevant material. According to Wilders, the CDA [Christian Democrats], PvdA [Labour, Socialists] and VVD [Center-Right Liberals] have made an ever bigger mess of it in recent decades when they governed. The PVV leader warned his supporters that a vote for VVD leader Mark Rutte or CDA leader Jan Peter Balkenende might just as well be a vote for Job Cohen (PvdA) and Alexander Pechtold (D66). Wilders especially turned against Cohen, leader of the PvdA, whom he blamed for having no spine. The red flag that characterizes the Labour Party has made way for a red carpet being rolled out for Islam and mass immigration, according to the PVV leader. The PVV chooses optimism and hope, he said. “We are hard where needed, and soft where possible.” Opposite Islam the PVV places “our identity” and “opposite Job Cohen more security and less immigration,” he said. A relaxed Wilders on stage had short conversations with candidates on the list. He sat on a bar stool in front of an audience of about two hundred interested people who later were able to put forward their questions in conversations with the candidates. Afterwards Wilders’ sympathizers queued to have their picture taken with Wilders and to have a short talk. At the beginning of election night, Fleur Agema, number two on the PVV list, had already explained that the training of candidates started two years ago in little classes on Saturday. Agema and Barry Madlener, who now represents the party in Europe, then pretended to be “Barend en Van Dorp” [former TV news show]. In those knowledge quizzes Wilders played Mulder [Jan Mulder, left wing sidekick to the presenters Barend and Van Dorp]. “It was always a feast,” said Agema, who has the daily political leadership of the PVV fraction, according to Wilders. Wilders said not a word about the two of the top ten candidates who have now been pulled. The discredited number five on the list, Gidi Markuszower, withdrew Saturday night. The number nine, Mellony van Hemert, had already preceded him in mid-April due to “medical reasons”. Surrounded by security guards, Wilders entered the hall accompanied by the song “Eye of the Tiger,” from the soundtrack of the movie Rocky III. The loud bang that shot paper streamers into the theatre at the start of the evening, shortly caused a shock in the highly secured building at the south bank of Rotterdam. But Wilders’ wide grin made it clear that with this he contributed to this PVV party. Dear friends, with this great list we will engage in the battle. With this list we will carry on a great campaign. To reconquer the Netherlands. With this list we will light a beacon. I hereby declare the election campaign of the Party for Freedom officially opened! Folks, did you watch “Zembla” [TV program] yesterday? In that program the state broadcaster compared us to Nazis, Milosevic, and ethnic cleansers. Indeed, where would we be without the state broadcaster? Of us all, for us all. But apart from that: the name of the program nicely indicates where we’ll have to send those leftist activists, after we have taken them off the subsidy-infusion: To Nova Zembla. They are themselves convinced the earth is warming, so surely they will not oppose it. Friday we presented our election program. And today our campaign begins. There was only one place we could do that: here in Rotterdam, here in Rotterdam-South [South bank of Rotterdam]. For this is not an ordinary city. This is the city of Coen Moulijn [1970s Feyenoord football celebrity], and Pietje Bell [famous children’s book series]. But more than anything else: this is the city of Pim Fortuyn. The man who paid with his life for his ideals. This is also the city which is cracking at the seams like no other, as a result of mass immigration and Islamization. Entire neighborhoods are being Islamized. What was once the largest port in the world, is now the capital of Eurabia. A city of minarets and a mega-Mosque. There has never been any doubt about it. Only here in the city of Pim Fortuyn could we begin. And we do that tonight. Here in Rotterdam we plant our flag and begin the reconquest of the Netherlands. We believe the best days of the Netherlands still lie ahead. That we are heading for a future that is many times more wonderful than what we leave behind us. If we only dare, if we only dare to choose. On June 9, the Netherlands can choose. We choose for optimism and hope. Our election is the agenda for hope and optimism. The best election program, that may count on support among many Dutch people. We are hard where needed, and soft where possible. If you say: I agree with that program, then you are not the only one. Maurice de Hond (of Peil.nl) has polled our positions, and it appears that the electorate agrees with us on many points. The aversion towards mass immigration, the repulsion felt towards Islam, and opposition to Europe. The Netherlands is more PVV-minded than the state broadcaster will ever let you know. Scrapping of the JSF [Joint Strike Fighter], ten thousand additional nurses in the health service. The Netherlands wants it. Only in the canal zone and Hilversum are they against it. We choose for the people who do not get it for nothing in the Netherlands. We choose for Henk and Ingrid. Ordinary Dutch people who work hard and worry about safety in their city, district and street, about mass immigration and Islamization, about the poor care for their parents, about high taxes, the economic crisis, the financing of their children’s study. And the PVV wants to govern. We want to change the Netherlands. We want to take our responsibility. Without the PVV in a new government, the Netherlands will descend further into a morass of politically correct inaction. Without the PVV the problems of the Netherlands will not be solved, but will only worsen. And do not forget: the CDA [Christian Democrats], PvdA [Labor, Socialists] and VVD [Liberals] are parties who already did it together before, have governed together in “Purple” [name given for a cabinet with the PvdA (red), VVD (blue), and D66] and in center-right or other cabinets. We have seen them all. We have seen all pass by. They have created an ever bigger mess. That may happen again after June 9. A vote for Mark Rutte [VVD] or Jan Peter Balkenende [CDA] may, just like that, be a vote for Cohen [PvdA] and Alexander Pechtold [D66, Liberal Socialists]. What the Netherlands needs is a strong PVV that can put affairs in order. We are a party that wants to solve the problems, even if it doesn’t suit the political elite, even if the solutions are difficult. On mass immigration and Islam, about health care, on crime and high taxes, about cutting down on left-wing hobbies [such as development aid and global warming, etc.] and tackling the economic crisis. The PVV is desperately needed to make a stronger country of the Netherlands. For a tough but social policy there is no better choice than a vote for our PVV! The PVV offers the Netherlands hope and optimism. But we know: it is a hope without illusions. Because we see what is going on in our country. More and more citizens wonder whether their future is still in the Netherlands. Tens of thousands of Dutch people leave our cities, tens of thousands of Dutch people leave our country. The question why The Hague [the government] continues with its unwholesome actions that are not supported by our people occurs to ever more Dutch citizens. Meanwhile among many people the feeling arises that we are in the process of losing the Netherlands. Neighborhood after neighborhood, street after street, school after school. Mass immigration has achieved a sad record, and the coming years will only continue to explode. Crime is rampant, and anyone who watches “Opsporing Verzocht” [the TV program “Crime Watch”] for just two minutes knows that crime is often the result of the policy of “Sinterklaas come, but bring your servant inside”. To many of the problems that afflict Netherlands the same diagnosis applies: elites have drifted away from reality and on their own started to do things that are no good to the ordinary people. Our elites have embraced the idea of “anything goes”. There is no good or evil, all cultures are equal, be they Islam or Christianity, shaking hands or not, who cares. Even so, the Left-wing potentate have united with Islam. The Left and the Islam hitch up together. The leftist elite with pleasure closes its eyes to the reality: women’s oppression, hatred against gays, benefit dependency, street terrorism, the hostility towards democracy, etc. Our pride which the Dutch for decades with conviction have paid for, the welfare state, has deteriorated into a magnet for adventurers. No longer a shield for the weak, but a collection point for loafing immigrants. And who pays that? That is you. Henk and Ingrid are paying for Ali and Fatima. Are we powerless? Should we patiently watch everything we hold dear being mangled by that nutty elite? Of course not. The Netherlands must opt for solutions. If we want to, we can do it. Our ancestors saw a sloppy swamp-delta, and said: this will become an oasis. Rotterdam people once saw their city bombed to rubble, and said: together we put our shoulders under it. The Party for Freedom sees a country that is sinking further and further into the swamp and says: punch it up! The PVV stands par excellence for the people who don’t get something for nothing. The PVV chooses for a caring Netherlands. We will with pleasure open the purse for ten thousand extra nurses, with a higher salary, in the nursing homes for our elderly. We are also opposed to an increase of the private risk in health care. We keep our hands off student grants and the student (public transport) travel pass. We will not touch the unemployment benefit and mortgage tax relief. We do not want a relaxation of the dismissal rights and the age for the state pension should remain at 65. The PVV chooses an economically prosperous Netherlands. Where citizens and businesses pay taxes as little as possible, so they can spend their own money the way they decide themselves. A Netherlands that is not stationary, but moves, thus more roads and no road pricing. We choose a smaller government, without too much paternalism. For a sparkling democracy, with referendums. No European super-state, but economic cooperation. No network of subsidized left-wing action groups. And above all: for a secure and safe Netherlands where the scum are arrested and deported, and not subsidized and coddled. Ladies and gentlemen, we are not the only party participating in the elections. The PvdA was thinking: you know what, the mayor of Amsterdam [Job Cohen] becomes our candidate. What he has done for Amsterdam he can do for the Netherlands. The question is whether that is a pledge or a threat. We are always finding out more of what Job Cohen has actually done for Amsterdam. Not much for the original residents, those who now live in [the cities of] Almere and Purmerend. But for fortune-seekers he has been on his feet 24 hours a day. Cohen is one hundred percent pro-Islam. He finances a radical mosque. The mayor of the canal zone advocates an Islamic culture in the Netherlands. Learning Dutch is not necessary according to him. Cohen literally says: we must accept Muslims who discriminate against their wives. Even shaking hands with women is not needed according to him. In the canteen of the Amsterdam police force, you can order something delicious. A sandwich “Cohen”. Which is a sandwich with flabby meat. It is described as: “Delicious, without spine”. By his own chief of police chef, Cohen is called a beach ball, one that blows with all winds. The PvdA is the party of the double passports. In the old days the PvdA had a red flag. Now it is the club of the red carpet. The red carpet for Islam. Folks, I say: The Netherlands has no need for beach balls, but for leadership. Dear friends, on June 9th you can place your order in the canteen of our democracy. Then you can decide for yourself if you want a sandwich with or without spine. Dear friends, put it in your agenda. On June 9 we will have a party. Then we’ll celebrate the mega-gain of the PVV. Until then we will light a beacon in our country with this group of giants [the candidates] and our thousands of volunteers. We’ll begin with that right now. Our volunteers are on the road as of tonight. They will go door to door and distribute hundreds of thousands of pamphlets throughout the Netherlands with our message. Today, here in Rotterdam, the reconquest of the Netherlands begins. Are we powerless? Of course not. Opposite more of the same, we place decisiveness. Opposite Islam, we place our identity. Opposite the canal zone, Henk and Ingrid. Opposite the destruction of a caring Netherlands, the protection of the citizen. Opposite the pessimism, ten thousand new nurses and ten thousand new police officers. Opposite the cultural relativist malaise, we place Dutch hope and optimism. And opposite Job Cohen, more security and less immigration. Dear friends, we will go for it! Choose list 5, choose the Party for Freedom! In 2008 Gidi spent a second at the police station due to a contravention of the Arms Act. Or actually not really. He was just in the possession of a firearms license but did not comply with transport restrictions. After a chat in the police station the case was dismissed by the judiciary. Obviously, because Gidi was at the time was certified security. Nevertheless, reason enough for the Vrij Nederland [left wing opinion magazine] journalist @Neeeltje to twitter: “Breaking: PVV’er arrested for illegal possession of weapons!” That kind of headline scores much better, of course. 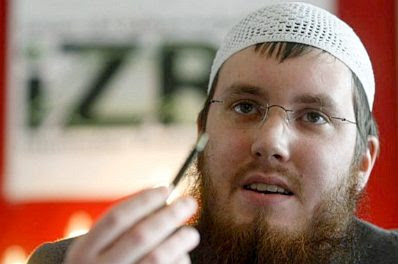 Markuszower, number five on the PVV-list for the next elections, is a member of the church council of the Nederlands-Israëlitische Hoofdsynagoge, NIHS [Dutch-Israelite Main Synagogue] in Amsterdam. In late March he submitted a motion calling for a ban (cherem) on anyone who publicly defends the UN report by Richard Goldstone on the Gaza war. The radical appeal is justified, according to Markuszower, because the Goldstone report, in which Israel is accused of war crimes, brings the existence of that country in serious jeopardy. […] Gidi Markuszower is the victim of a leftist witch-hunt. That is the motive for him to withdraw as a candidate or the PVV. Franciso van Jole [extreme left-wing demonizer] was one of those “journalists” who let his hatred of the PVV flow seamlessly into hatred of Markuszower, and did not refrain from linking to his being Jewish. […] The left-wing press has learned little after Pim Fortuyn. Again an atmosphere of fear and intimidation had been created in which politicians who refuse to endorse the leftists’ ideas of salvation are torn down mercilessly. A sad observation. [00:29] Because this country is FED UP! … C’est ÇA! That is what I stand for. Many thanks to Gaia for pointing out this entry from Norman Tebbit’s blog at The Telegraph. Lord Tebbit talks at length about the absurdities of the three major parties in the run-up to next month’s general election in the UK. Got out of London last year, for obvious reasons, and now live somewhere that still resembles England. I feel sorry for those decent real Brits who can’t escape enrichment, especially the elderly, but the rest deserve to become second class citizens in their own country. If I were an immigrant I’d despise them for allowing this to happen to their country. People say the BNP hate immigrants. The only people I hate are the snivelling Brits who can’t be a***d to take an interest in the fact their country is dissolving. Look at all the nutters with their silly liblabcon placards hanging from their properties. They must be retarded, it’s the only explanation. Britain, a nation of retards, who just can’t give their country away fast enough! How the hell are we descended from the WW1/2 generation!? We are total w@nkers. John O’Neill’s latest essay departs from his usual themes to examine the cultural rot of the West, which is what has paved the way for the Islamic incursion. I vividly recall, just a few weeks after the 9/11 attacks, seeing a photograph of the Bin Laden family, or some of the younger members of the family, on holiday in Sweden. The year, I believe, was 1971. Osama was there, as were about fifteen of his brothers (and half-brothers) and sisters. All of them were dressed in typical “gear” of the time, bell-bottomed jeans and tight pullovers. Some of the boys had long hair, as did the girls. None of these were veiled, or betrayed in her attire the slightest hint of Islamic influence. They could have been a group of youngsters from any western country. Many if not all the newspapers published this photograph, and the question they were asking was: What could have turned Osama from the easy-going modern youth of the picture into the sworn and fanatical enemy of everything modern and everything western? In the opinion of the present writer however the newspapers were asking the wrong question. What they should have been pondering was: What could have transformed not an individual, but a large section of a civilization, into the sworn enemy of everything modern and western? For the journey taken by Bin Laden in the years between 1971 and 2001 was taken also by many millions of his co-religionists throughout the Islamic world; and the thirty to forty years that have elapsed since the 1970s have seen one Muslim society after another systematically reject the modern world and turn the clock back to the seventh century. Whilst by the late 60s, women all over the Islamic world had adopted western fashions and lifestyles, the tide was dramatically reversed by the late 70s, when traditional Islam, with its strict dress code and social outlook, again bestirred itself. One would now be hard-pressed to find any Islamic country where the easy-going attitudes of the 1950s and 60s still hold sway. What then has caused this cultural revolution? A clue, I believe, lies in the fact — almost universally ignored by commentators — that the West has experienced its own cultural revolution in the same period. But the West’s revolution has been of a very different kind. Whilst the Islamic world was regressing deep into the seventh century, the West was plunging headlong into an age of unparalleled license and sexual permissiveness. The fact that these two revolutions happened in parallel with each other is not, I hold, a coincidence: the two are inextricably linked. The revolution is Islam was in very large part a reaction to and against the revolution in the West. Many commentators are aware of the story of Sayyid Qutb, the Egyptian founder of the Islamic Brotherhood, a radical Islamic extremist who is now widely regarded as the spiritual founder of Al Qaida. Qutb spent much of 1949 in the town of Greeley, Colorado, where he studied educational theory and practice. He wrote about his experiences in his book, The America I Have Seen, almost every page of which gives expression to his abhorrence of American society. Most of all, Qutb was shocked by what he regarded as the open and flaunted sexuality of American women. Their mannerisms, their expressions, their dress, all spoke to him of a deep-seated depravity. But this was 1949, long before the permissive society of the 60s and 70s; long before Oh Calcutta and Woodstock. By modern standards, the America visited by Qutb was extremely conservative. Marriage was the norm. Women stayed at home and raised the children. Illegitimacy was unusual, and sexual promiscuity frowned upon. The cinema and the press were strictly censored. Yet Qutb found it all abhorrent. Even an innocent dance is a church basement was seen by him as an occasion of lewd depravity. There is no question that Qutb was an extreme conservative — a conservative moreover coming from an unusually backward country, and from a cultural environment more restrictive of women than any in the world. There is no question also that Qutb represented a mode of thinking that could have been found in any century of Islamic history. In the early twentieth century, and before that, Qutb’s views would have been the norm. But it is important to remember that by 1949 Qutb was a voice crying in the wilderness. No one was listening: For while Qutb ranted and raved about western decadence, the whole Arab and Islamic world was moving to embrace the West as never before. From Casablanca to Jakarta, Muslim women began to abandon the veil, and as the 1950s progressed, western dress and social attitudes became more and more the norm. By the mid-60s it was possible to walk through Cairo or Tehran and see a clear majority of women dressed in western fashion. The power of the mosque, it seemed, and of the imam, was fading fast. But what a difference a decade makes! Or should I say, two or three decades. The West as a whole became aware of the new Islamism in 1979 when Ayatollah Khomeini made his historic flight from Paris to Tehran and began the process of turning a modern semi-industrialised society into a backward theocracy. This may have been the point at which the West took notice, but it needs to be stressed that much of the groundwork had been laid in the previous decade. Yet that groundwork was laid as much in the West as in the Muslim world: For it was in the late 60s and early 70s that the societies of Western Europe and North America finally severed the link with their Judeo-Christian past. This was the decade that saw the dawn of the Permissive Society. Within little more than ten years socialist or liberal administrations in almost every western country had legalized abortion, relaxed censorship, provided for easy divorce, and introduced legislation which essentially gave financial encouragement to single parenthood. This rapidly led to the decline of marriage and sky-rocketing rates of illegitimacy. A spin-off of the latter, not felt so much at the time, was social breakdown on an unparalleled scale. These social and cultural changes were accompanied by the rise, amongst the intelligentsia, of a militantly secular culture, which seemed to lose no opportunity to “debunk” traditional Christianity, whether in the movies, on television or in the newspapers; and which promoted a culture of sneering condescension directed at the beliefs of practising Christians. Literature and art seemed to be overwhelmingly controlled by such persons, who were more than anxious to heap accolades and awards on any production that took a swipe at Christianity. Increasingly, Christians had to endure the most obscene fun being made of their faith in all kinds of arenas. God, the intellectual elite of the West proclaimed, was dead; and the Brave New World they were constructing was right out of Aldous Huxley’s famous dystopia of the same name. Sexual pleasure was the purpose of life, and if you weren’t part of it, you were worse than stupid. Christians, being followers of a teacher whose primary injunction was forbearance, seemed prepared to take all of this, or to make their protests peaceful and law-abiding. The reaction in the Muslim world was rather different. It would perhaps be superficial to quote the plethora of writings emanating from the Islamic world during the 1970s and 80s (or from the contemporary world for that matter) decrying the decadence and godlessness of the West. The point is, that from the mid-1970s young Muslims began to listen to these voices, whereas previously they did not. And this is the situation that now prevails. The writings of Islamist radicals rage against the “godless” West; and statements of terrorist leaders and individual suicide bombers speak of the holy task they have set themselves in destroying the “enemies of God.” Islamist websites make it perfectly clear that they regard the intellectual leaders of the West, the radical secularists, as engaged in a war against God, and that they believe them therefore to be legitimate targets. It is important to note here that the Islamist preoccupation with this topic is rarely reported in the popular media, especially the leftist media, which prefers to find what it wants to find in the Islamists’ motivations. We are constantly told, for example, in the pages of the New York Times and the Guardian, that the casus belli is “the War in Iraq”, “the Palestinian problem”, or “western imperialism.” Yet in the years leading up to the September 11 attacks there was no war in Iraq, and the Islamists of Sudan who during the 1980s and 90s slaughtered perhaps two million non-Muslims in the south of the country were not in any way worried by the situation in Palestine. Nor were the Islamists of Algeria particularly concerned with the Palestinian issue when they murdered perhaps quarter of a million of their own people during the 90s. And even after 9/11 the Palestinian problem hardly figured at all in the demands or statements made by Bin Laden and his cohorts. On the contrary, these statements were full of anger at the “atheism” of the “infidels” and the decadence of the West, which they vowed to resist. If western imperialism was the problem, then it was the cultural imperialism of the secular, anti-religious liberal elite. It is true, of course, in more modern times, the Islamists have on occasion used the language of leftist westerners for propaganda purposes — invariably for statements directed at western audiences. They have learned, for example, to use Blair’s intervention in Iraq as an “official” reason for attacks against Britain — no matter that Saddam Hussein, the man overthrown by Bush and Blair, was a great hater of Islam, and the murderer of more Muslims than anyone since Genghis Khan. If the Iraq War can be used to stir up internal conflict among the infidels, so much the better. Yet can even the most doctrinaire leftist deny that modern Britain, with its spiralling crime, family breakdown, vulgarity and celebrity obsession, and general social disintegration, is an easy place to hate and a difficult one to identify with? And surely only the most wilfully blind would fail to see that the militantly secularist world-view promoted on television and the media is profoundly alienating to anyone from a traditional or religious background. None of this is an attempt to “explain” radical Islamism as the fault of the West. Still less is it an attempt to in any way justify the beliefs or actions of these people. The Islamists do not occupy any kind of high moral ground and have no answers to the world’s problems. None of them are moral people, least of all in a sexual sense. The Paradise they aspire to, after all, is unmistakably sensual, where they look forward to being pleasured to the end of time with their 72 dark-eyed houris. And the ideology espoused by the Islamists is in no way new. It is not a creation of the West. The Islamists represent a revival of mainstream Islamic thought; a theology which has historically not only justified aggressive war, but regarded it is a moral duty. Yet until the 1960s this way of thinking, and Islam itself, was essentially on the way out. Throughout the Islamic world the West was admired and imitated. Western culture was on the ascendant and western attitudes viewed as morally better than what Islam had created in the past. An age of reason, a veritable Enlightenment, was on the point of being born. Yet the moral nosedive taken by western societies in the late 60s and 70s reversed everything. Hollywood movies, previously standard-bearers of western morality (think of Casablanca, for example), became, almost overnight, obnoxious vehicles of profanity and obscenity. Slowly but surely, as the West began to reject all forms of moral restraint, the mood in the Muslim world (and in other eastern cultures) began to change. The West, hitherto admired, was now regarded with horror. And this is the mood which still prevails. True, neither Buddhists nor Hindus (nor conservative Christians) strap bombs to their bodies and commit mass murder. Their faiths are too strongly pacifist for that. Yet in the Islamic sphere things were different, and once again people began to listen to the Sayyid Qutbs of the world. 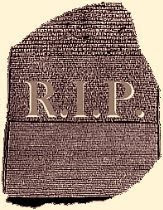 I would be remiss if I ended without mentioning one or two of the ramifications of the present situation. Not only have the western liberals revived an ancient fanaticism in the Muslim world, but they have created — in several ways — openings by which this fanaticism has been able to reach the West and flourish here. Apart from the criminally-misguided policy of massive and virtually uncontrolled immigration from the Middle East (multiculturalism is a central plank of leftist/secularist thought), the policy of marginalising Christianity has also created a moral and spiritual vacuum of the most dangerous kind. A newspaper article in a British daily shortly after 9/11, titled “Islam’s Armani Army”, dealt with young middle-class professionals in England who had embraced Islam. The striking thing about these young people was that they all came from committedly secularist backgrounds — some of their parents were left-wing Labour Party members, others were Communists and Socialists of various hues. It was clear that these young people, completely cut off from their own cultural roots, had found in Islam a religious identity they had never previously possessed. It is no exaggeration to say that the whole leftist response to the Islamist threat is loaded with irony. So, for example, whilst they profess to be the side most anxious to find reasons as to “why they hate us,” they are also the side most resolutely determined to ignore those reasons. There exists an almost surreal refusal on the part of the left to look at the facts or to even listen to a word the Islamists say, preferring instead to put into the minds of the Islamists concerns which are entirely their own. A striking, and obnoxious, example of this was seen in Michael Moore’s reaction to the 9/11 attacks. Why, he asked, had the Islamists attacked the people of New York, who had not even voted for George Bush? The assumption on Moore’s part that the Islamists had picked the “wrong” target was predicated on the notion that they were some kind of socialist movement concerned with the capitalist exploitation of their homelands. Not only did Moore fail to read a single line of what the Islamists have been saying for years, but he, along with the entire left, have failed to understand that they themselves are the primary cause of the Islamists’ hatred and contempt for the West. Thus whilst calling for us to “understand” the Islamists’ motives, they continue to promote ever more extreme secularist policies, such as gay marriage and gay adoption, which only further inflames the Islamists’ rage. The policies pursued by the left (and I include here zealots like Richard Dawkins of no overtly political affiliation), far from creating a secularist utopia, are in danger of producing a theocracy more fanatical and more obscurantist than anything Europe has ever experienced. The modern left in fact constitutes an enormous fifth column placed right at the heart of the West; a fifth column actively and openly involved in undermining every attempt to defend the freedoms and humanitarian traditions it professes to believe in. There are many historical reasons for this, but that is not the subject of the present paper. What needs to be stressed here is that, should the left have its way, the Islamization of Europe and America is inevitable. Indeed, only two outcomes are possible: Either Europe will rediscover its Christian identity and survive, or the continent will become Muslim. The next decade will be decisive. Already there are signs, admittedly tentative, of a Christian revival. This will continue, but whether it will be quick enough or strong enough is doubtful. If not, then the Caliphate of Europe beckons. Belgium is in the throes of yet another political crisis. The current chaos was brought on by the withdrawal of a Flemish party from the interim coalition government, which effectively caused the government to collapse. The Prime Minister Yves Leterme — who had only been in office five months — then resigned, but King Albert II initially refused to accept his resignation. The king has now surrendered to the inevitable, and Belgium faces the likelihood of elections followed by the all but impossible task of forming a new government. Vlaams Belang introduces a decree to enable Flemish state succession upon the Belgian federation. The profound political crisis Belgium has run into, clearly proves the Belgian model is a complete failure. In this respect Brussel-Halle-Vilvoorde is just the symptom. The name of the disease is Belgium and the only remedy is Flemish independence. Home and abroad a possible split up of the Belgian federation into a Flemish and a Walloon state is more and more explicitly taken into account. Regardless one advocates such scenario, it’s of the utmost importance that the Flemish Government and its administration prepares itself most thoroughly for whichever scenario to come. When it comes to a dissolution of the Belgian union, the Flemish Parliament and the Flemish Government are the only legitimate democratic representatives of the Flemish people. In order to let a possible transition period pass as efficiently and shortly as possible, the Vlaams Belang feels that the Flemish Government has to take the required measures to anticipate the dissolution of the Belgian union. As a result our party has introduced a bill in which we urge for the Flemish administration to be commissioned to prepare the split of the Belgian federation and to draw up a scenario for that purpose. By means of this bill the Vlaams Belang also wants to urge the Flemish Government to take all necessary initiatives, to make clear Flanders will fulfill its international commitments as the successor state of Belgium and that Flanders will remain a partner in the European and Atlantic cooperation. The Vlaams Belang wants to avoid at all costs, institutional and/or organizational chaos is caused by the further evaporation and dissolution of the Belgian state. In its role of the good family man, the Flemish Government should anticipate the possible dissolution of the Belgian union. A thorough organization of the transition period and the preparation of Flemish independence on the European and global level are much needed measures to create trust and peace among the people and clarity on the international level. The Flemings are entitled to be certain of the fact that their government and parliament are ready to take over as much federal competences as possible and to play its role as the legitimate representative of the Flemish people. The Australian government is concerned that some of its tax law may not be sharia-compliant, so it has tasked the Board of Taxation with reviewing existing law to see what needs to be changed. Australia is concerned that it may be missing out on a big chunk of business by failing to consider the sensibilities of Muslim customers. In other news, the latest evidence indicates that the dangerous ash cloud over Britain caused by the Icelandic volcano never really existed. The predictions about the cloud were based on computer models, which couldn’t be tested because the Met Office plane that would have gathered real data was grounded for repainting. Satellite images now indicate that there was never any significant ash cloud. Meanwhile, Western defense analysts are concerned about cruise missiles being sold by a Russian company which can be launched from a shipping container. The missiles would be undetectable until they are fired. Iran and Venezuela are reported to be potential customers for the system. Thanks to Barry Rubin, C. Cantoni, CSP, Fjordman, Gaia, Henrik, heroyalwhyness, Holger Danske, Insubria, JD, Nilk, Steen, TB, Vlad Tepes, Zenster, and all the other tipsters who sent these in. This news story from last month concerns a man who lived in a poor region of Wallonia, and was blamed by a judge for being carjacked and having his home repeatedly invaded. His offense? He drove a nice car and lived in an upscale house while having poor people as neighbors. According to a court in the poor city of Charleroi [Wallonia, French part of Belgium] it is unwise to drive in a Jaguar and to live in a nice house. Rich people in an impoverished region of Charleroi must not exhibit their wealth too much. If they do, they should not be surprised when they become victims of crime. The lawyer of the victim will appeal against the ruling. “Should one then drive around Charleroi in a Trabant, walk around in a tracksuit, and live in a dilapidated house, to be safe and to be left alone?” the lawyer, Frédéric Clément de Cléty, foams. In 1998 the victim, Laurent F., a banker and insurer, bought the rundown mansion of the Delhaize family in Ransart near Charleroi. He fixed the building up with a renovation grant of €6,172.55 from the Walloon Region. In 2001 Laurent F. became the victim of a carjacking for the first time. The police found back his BMW, but in a home invasion armed men again went on the run with the expensive car. In 2006, the renovated mansion in Ransart again became the target of a home invasion. “During it my wife and children were threatened with firearms,” recalls Laurent F. The criminals took the pajama-clad man with them in his Jaguar in the middle of the night, and at a business park put him out of the car. For Laurent F. this was the last straw. He and his family decided to move to the Walloon Brabant region that he considers safer. Because he had not yet lived in the renovated building for ten years, the Walloon Region demanded that he repay €5,555.30 of the renovation grant. F. refused to pay, but the court ruled he was wrong. In her verdict, Judge Geneviève Denisty states that she “does not want to minimize the psychological effects of a car- and home-jacking”. But it is not about a force majeure, as she determines in a remarkable passage. Besides the repayment of €5,555 and the interest on it, Laurent F. also has to pay judicial costs of €1,071.97 euros. But that does not make him change his mind. A return to his beautiful mansion in Ransart is not in any case an option. Jean-Jacques Viseur (CDH, Christian Democrat), the mayor of Charleroi, is furious at the judge. An interview. What do you think of the judge’s ruling? What do you blame her for? “She acts as if rich people who show their wealth in Charleroi beg to be attacked. With that statement she insults people who live here and in the entire city. Is it true that in Charleroi there are more home invasions and carjackings than elsewhere? “No, only last week I published the new crime figures. The number of home- and carjackings decreased dramatically. Much more than in other major cities. It is not the most luxurious cars that are carjacked most. Are you going to file a complaint against the judge? “I can’t. A judge may write in a ruling whatever he/she wants. Even though in this case it is purely subjective nonsense founded on nothing. I therefore will write a letter to the Court’s President to complain about what this judge is permitting herself. It is the second time I will have done that.